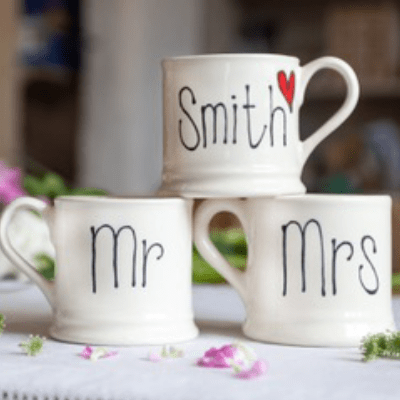 Handcrafted personalised mugs offer a very popular and much-loved wedding gift. 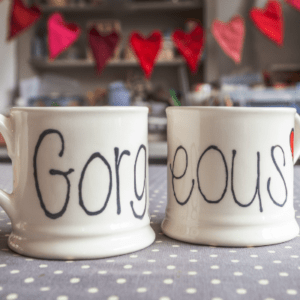 They enable you to put the names of the newly married couple onto the mugs, followed by a red heart. The names are written in large grey writing with space for about 14 characters. There is a red heart at the end of the name outlined in grey. 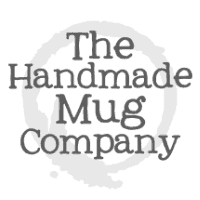 The mugs are approx 8.5cm high x 8.5cm wide (excluding handles) and will hold about half a pint. They are dishwasher proof. They come in individual boxes with blue tissue paper for the groom and pink for the bride. 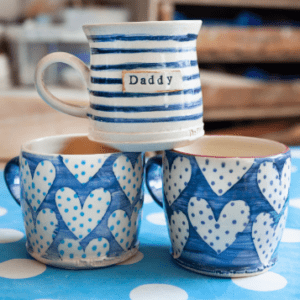 Please include the required name in the personalisation box. 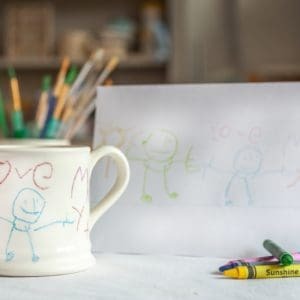 Please be aware you are ordering two mugs.